The theme of your shopping app is the first point of appeal for your customer. To dynamically enhance the visual attractiveness of your app we have an in-built plug-in with our vibrant themes “Modern” & “Vogue”. With Mofluid you can customize the base theme to match your brand. However, if your brand demands more, we can build your custom theme too. 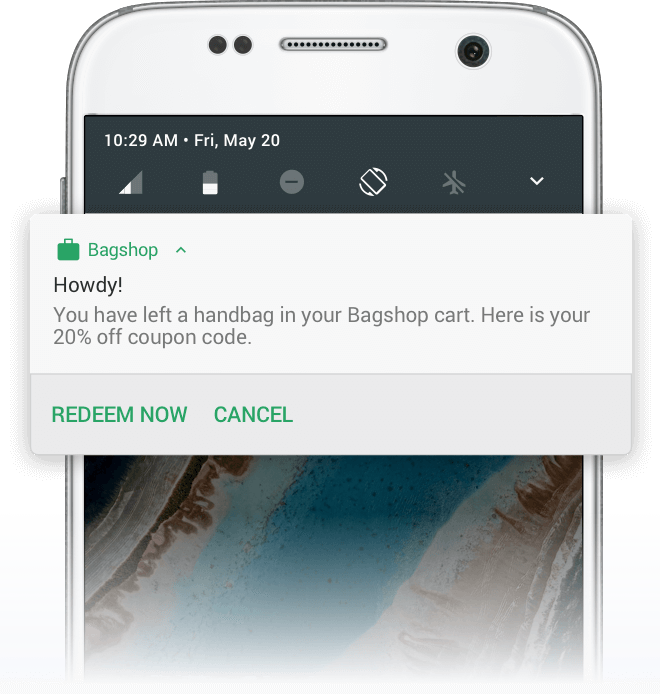 Keep your customers up-to-date so that they never miss any offer via Push notifications. Let your customers know about your promotions and deals. Make them feel happy with irresistible offers and boost up your sales and revenue. Require Add-on for more functionalities, then check our Pushwoosh add-on integrated with Mofluid. Beautifully simple sharing buttons to help you get likes and shares on Facebook, Google+ and other social networks. Instead of sharing to each social network discretely , Mofluid allows users to amplify your product to their fans / followers across multiple social networks at the optimal time. The Mofluid plug-in seamlessly integrates your existing shipping methods in your app. Mofluid plug-in supports all the default Magento shipping methods. Even if your site has any third party extension for shipping method which is implemented following Magento standards then it will be integrated in the app as well without any custom effort. Mofluid provides a wishlist feature. A customer will be able to add favorite products by clicking on the corresponding button to a special list called Wishlist. Wishlist let users build lists of items that they need or want for special occasions, including weddings, birthdays or just as a future need. Mofluid has integrated a number of functionalities to enable you to set up your shopping app with these features for your customers, including: Simple, configurable,group & downloadable product types, Product Zoom Function, Product List Sorting, Out of Stock Label with Product Listing. The Mofluid plugin syncs your Magento commerce store with your shopping app. Any changes on the website to the Product categories, Catalog updates, Orders and Customers profile are reflected onto your shopping app. Mofluid is Multilingual. 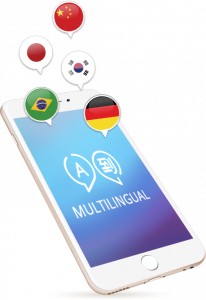 The app can be viewed in languages like English, German & French. It also supports many right to left languages like Arabic, Hebrew etc. All the content within the app will be visible in the language you select initially. The price details of a product can also be viewed according to the currency of the selected country. One may have two or more separate stores altogether. 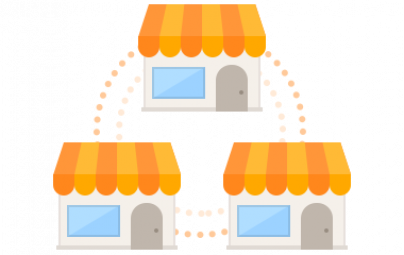 With Mofluid, all these stores can be bracketed together in an app with a single back-end . That means through a single app, multiple stores of the same owner can be viewed and browsed too! Download Mofluid plug-in for your Android and iOS devices directly from the Google Play and iTunes stores. We build Touchable and Swappable beautiful apps for our customers’ shopping experience. Google’s analytic products helped us improve engagement by 33% and click-through by 21% for content promotions on our homepage. Mofluid plug-in provides free Google analytic addon integrated with the extension. 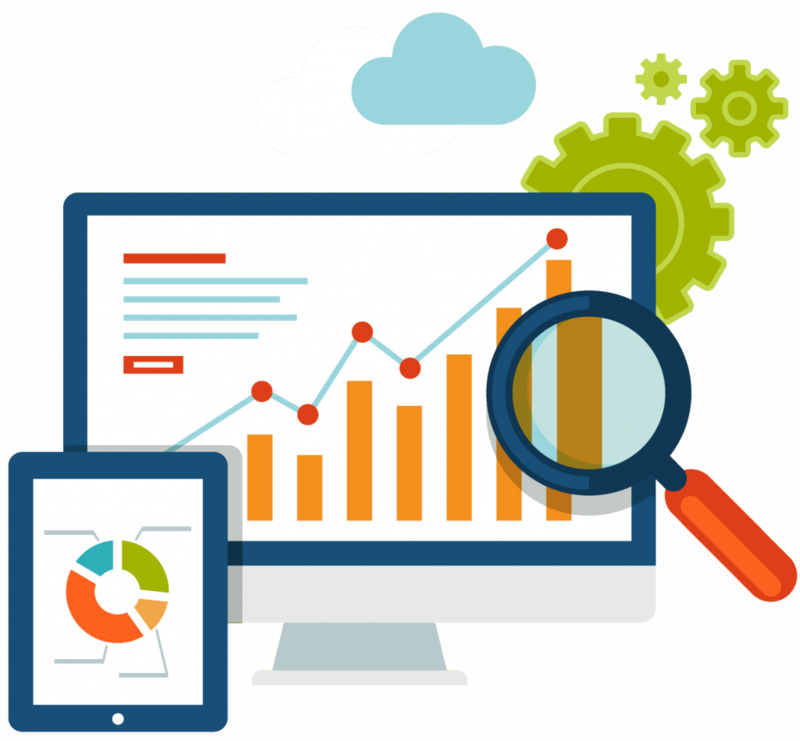 Google’s analytic solutions help you turn customer insights into real gains. Secure and easy to use and authorized payment gateways which is the last but not the least step in the online shopping. 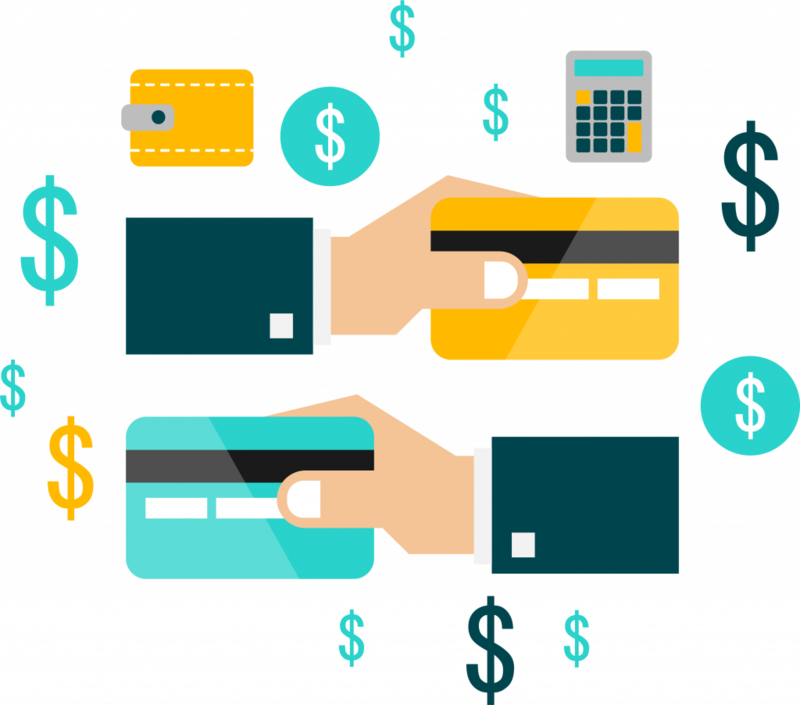 Mofluid plug-in provides the secure and user friendly payment gateways like paypal, authorize.net, stripe, pay U, apple pay, braintree , eps, paytm, moip, citrus and many more. Social login is an easy and a quick way of getting into the mobile commerce application. Mofluid plugin has a self integrated feature of social login through Google + and Facebook accounts. Users can socially login and can make the purchases in no time.